Is Kia Too Embarrassed To Put Its Badge On The Stunning Stinger? Even in its home market? We claimed the Kia Stinger as the undisputed best reveal at the 2017 Detroit Auto Show. The Stinger simply blew us away with its fantastic looks and announced performance capabilities. Kia will sell the Stinger with a Kia badge in the US, but not in its home market of South Korea. 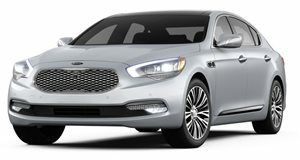 This is an interesting decision given that Kia's sister brand, Hyundai, has recently given up trying to sell luxury cars with its name and logo. 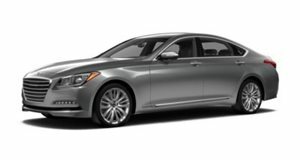 Instead, Hyundai created the Genesis sub-brand, which will hopefully help convince brand-conscious American luxury buyers. 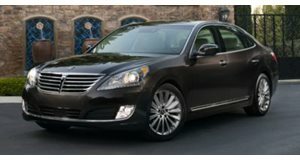 Before Hyundai tried to create its own Lexus competitor brand, it did try its hand at creating unique badges for the Genesis and Equus sedans in order to set them apart from other Hyundais. And now the Kia Stinger just had its debut at its hometown Seoul Motor Show, and the vehicle on display did not have any Kia badges on it, but rather a unique badge that looks like the letter E. The meaning behind this new logo is unknown, but it'll be interesting to see whether American Stinger buyers would prefer it over the regular Kia badge. Even though the Stinger looks like a fantastic car, some buyers may still be hesitant to admit they just purchased a $40,000 to $50,000 Kia sports sedan. This was the same issue that we had when we tested the Kia K900. Even though the car was loaded with tech and felt like it was worth every bit of its $60,000 price tag, everyone we spoke to about it felt uncomfortable spending that much for a Kia. We still love the Stinger, and can't wait to get behind the wheel. But we still be some will probably buy one and order these Korean market badges online like people have done with the Chevy SS and Holden badges. If the badge was your only reason for not liking the Kia Stinger, perhaps this news might change your mind. However, we still wonder why Kia was too embarrassed to keep its familiar badge in its home market.